Years ago (I'm talking 20 plus not 2013), if you wanted to dip your toes into the wonderful world of retail you needed first to have an idea to fill a gap in the market you'd spotted, you had to source your products, maybe do some product testing at a local market, then find a large bundle of money to invest in premises and a shop fit, stock it full of your products and then hope someone came in and bought something. Getting people through the door was tough and often involved expensive advertising campaigns, but if you were a "people person" and stuck at it, making a success of your new venture was a genuine possibility. Around 2000 the internet was getting into its stride, and many started to see the potential to use it to sell. In 2000 Caffeine Injection co-founder Steve was just such a person, having recently opened a bike shop he wanted to start selling bikes online. At the time a few businesses were selling bike parts online, but no one was offering complete bikes. Despite the advice of EVERYONE saying NO ONE would ever buy a bike online by late 2001 his website was up and running and taking orders. Over the preceding fifteen years Steve's online bike shop rode the wave that was the birth of online retail right the way to 2015, by which time selling online had become a monetised platform in itself. This extensive real world "been there done that" experience forms the core of how we help anyone looking to get started with online retail. This article is not written to put you off launching your own online retail business or taking your existing bricks and mortar business online, but to help guide you past the many pitfalls that exist. Your product range and your customers. Would someone buy this online from my website opposed to someone like Amazon? Perhaps you plan to sell unique items, that are made locally or are maybe even handmade, or perhaps you've found something unique on your travels and planned to import and sell it? If that's the case, you can answer that first question honestly with a resounding yes! Well done, you've just passed the first major test and one where most if being brutally honest, fail. On the other hand, if you plan to sell a generic item, branded or unbranded, that is readily available on loads of other websites, the harsh reality is that the chances of anyone buying from your new and previously unknown website, with zero customer reviews, is very very low. At this point, don't say "ah, but I have a great supplier, and I can beat everyone else on price". Yes, today, you might be the cheapest, but it won't last. On the web, there is always someone cheaper. No matter what your friends and family tell you (they will always say what you want to hear) if there is nothing unique or niche about your products, your online store will struggle. Perhaps you have an existing retail business, and you plan to use online to clear old stock at a discount, this can work brilliantly, even for generic products. People love a bargain, so create the right buzz around your online store and watch your dead stock fly out the door. But, unless you've spotted a genuine gap in the market, if your dreams revolve around a product that is readily available everywhere else, your dream can soon become a costly nightmare. The sad reality is that 90% of new online retail ventures fail within 12 months having never even recovered the setup costs. OK, the first harsh lesson is over, now let's start looking on the positives: You've got your unique product range that isn't widely available in your territory, so you're good to go, right? Not quite. The internet is awash with ecommerce platforms that promise to revolutionise the online retail experience, making you rich in the process. I won't mention names, but Google ecommerce cms platforms and there are pages of them. The fact is, with many of these DIY platforms the only people getting rich are the platform owners! There is nothing intrinsically wrong with these platforms, but they have a habit of massively oversimplifying the process, making some pretty wild claims in the process. Some want a setup payment upfront and almost all will at the very least want a monthly subscription and/or take a commission based on the unit sales or sales totals. These are payable whether you take a thousand orders in your first month, or zero. Some of the available ecommerce platforms are good, but most overhype themselves. They will claim to do everything for you, leaving you to focus on counting the money, The reality is all will need a reasonably advanced level of understanding what customers want and expect from a retail website. At Caffeine Injection we always liken owning a website to owning a car. Anyone can go out and buy a car, but that doesn't mean you can drive it. You might work out how to get it going, but the chances are at the first corner you're going to crash. Likewise, a website, especially an ecommerce website, while easy to own is complicated to drive. You might get there eventually with just a few bumps and scrapes, but all the while it costing you money. Merely listing a range of products on an ecommerce platform isn't going to cut it. You need to understand how customers browse websites, how to successfully categorise products and crucially how to close an online transaction. You will also need to be a good copywriter for the product descriptions and a dab hand at Photoshop to get your product images correctly sized and processed for all device screen sizes. And to top it all off you need to be 100% across not just your product listing pages, but your homepage too, to guide your site visitors to the products they are interested in, and finally all the social media sites to keep your traffic flowing. Simple? No. Doable? Yes, but it takes time and a severe amount of commitment. Get it right, and the rewards can be huge, get it wrong, and you might be one of the 90% who never recovers their costs. Delivery & returns page, more on these later. Carriers page, detailing the carriers you use and how they operate etc. Testimonials page, so new customers can read the feedback of previous ones. There are more, but that will get you up and running. So you have your products listed within your site, and the customers are chomping at the bit to start buying from you. Getting their money is easy, right, wrong. It's not difficult, but it does require some consideration, and you will need to put some things in place. When someone purchases something online they don't directly deposit the money into your account, sitting between you and them is a payment gateway, you are going to have to signup to one, and they are going to charge you. Paypal is the most obvious, and despite their high fees (c.3-4% of the purchase price) they are still worth seriously considering. The costs are high, but they handle all PCI requirements and offer proper safeguards against fraud, plus their server is super simple to use. Stripe is another popular online payment gateway and way cheaper than Paypal, but a bit more complicated to set up and work with. There are loads of other options out there too, but they will all want their piece of the pie: They will all charge you a fee, usually a commision on the sale, so you have to cost that into your selling price. Look for ones that have reasonable rates and great dispute procedures. What's that? We'll cover it a bit later. Shipping is an often overlooked aspect of online retail, but without it, you're never going to get to fulfil those orders. They have enough profit in the items they are selling to cover the cost. they sell so much online they can negotiate reasonable rates with the very fastest carriers. To start off, it's most likely that you have neither of these, so be honest with your customers. In the early days, unless you can honestly afford free shipping, don't offer it. There is a perception out there that to succeed online you MUST ship for free, but it's just not the case. Your customers won't mind paying a delivery charge, so long as it's reasonable and you always get the goods to their destination on time. And on that note, don't feel the need to offer, and NEVER CLAIM a delivery schedule you can't deliver. If it's going to take you a day to pack the goods, another day to get to the carriers depot and then three days for the delivery, advertise a five-day service. And don't fluff it either by advertising a two to five-day delivery when you know it'll always take five because your customers will be expecting two and so will be disappointed when it's five. And always remember, most carriers only work five days a week. So, an order handed to the carrier on Friday on a three-day service is going to take five. So be very clear on your website: Five WORKING days, not five days! No matter how good your products or your systems there will come the time when someone wants to return something. It might be you sent the wrong item, or it got damaged in transit, or they just changed their mind (consumer regulations say anyone buying online from you can return it for any reason within a set time frame for a full refund, no questions asked). For this reason, you need a clear returns policy. Your policy needs to cover returns where the goods are wrong or faulty and where they purchaser has changed their mind. It needs to be quick, transparent and straightforward to follow. Most shoppers now use the sellers returns policy as a critical buying decision. Not advertising your returns policy and/or making it complicated or opaque will put buyers off. Harsh reality: You will at some point get ripped off. Getting ripped off online is not a matter of if, but when. Online purchase fraud is mostly hidden, but it's rife. It will happen to you, so you need to be prepared. How will you get ripped off? There are many ways that the scammers will get you. Purchases using cloned or stolen cards is a favourite, although less of an issue nowadays thanks to improvements in card security. So long as you ONLY ship to the registered card holders address, you should avoid the worst, but sooner or later you're going to get a chargeback (where the cardholder claims they didn't make the purchase or receive the goods), so you have to factor this loss into your costings. Typically, this type of scam is known as "hard fraud". Much more common nowadays is "soft fraud" and smaller businesses like you are the most common prey. Soft fraud includes many things, most common is the buyer claiming something didn't arrive (don't think getting a signature upon delivery will stop this, it won't). Claiming an item got damaged in transit is also common, and instead of asking for a replacement requesting a "small" token discount. The latter is more common with large items, as the buyers know full well it's cheaper for you to give a retrospective discount opposed to paying to get the item shipped back for replacement. Soft fraud is more common in some sectors than others, but it exists in them all, so again, factor this cost into your pricing. As touched upon already, you'd be forgiven for thinking getting the sales in the first place is the hardest part of selling online, it isn't, meeting the often insanely high expectations of the customer is without a doubt the most challenging and often frustrating thing you'll have to deal with. Now it's not all customers. In the main, you will find most are perfectly reasonable individuals, and you'll enjoy doing business with them, but there is a tiny minority who have entirely skewed ideas as to what is reasonable to expect, and they will make your life hell. If you let them. Steve (Caffeine Injection co-founder) could tell you some nightmare stories about his time selling bikes online, like the lady who after seeing "Next day Delivery" advertised on his website ended up threatening legal action (and actually sending solicitors letters after the fact) because a bike she wanted to order on Christmas Eve wasn't going to be delivered on Christmas day (I kid you not! ), yes these types are few and far between but they will take up an extraordinary amount of your time. And test your patience to the max! Customer expectations can be managed mostly by being upfront and honest about every aspect of your business on your website, but regardless, you will get those who choose to be unreasonable until they get their way. All you do is your best, and don't take anything personally. Online reviews: Your best and worst moments, in public. Managing customer expectations leads us nicely to the final piece of the ecommerce jigsaw, online reviews. Your best tool and your worst enemy. You are human, so it follows you will make mistakes. When you do, don't fluff it, but also don't immediately jump in with offers to put things rights. First, admit fault, then ask the customer what you can do to fix things. More often than not they will ask for far less than you were initially going to offer. If at this point you want to offer more, go for it, but now you have options and a clear understanding of what your customer wants. Remember: When things go wrong you have a golden opportunity to impress. Most people don't judge a company on how well they did when things go OK, but how they handle problems. So this is your time to shine. The sad fact is though, sooner or later someone is going to take to one of the many online review sites and give their side of the story. When they do, never retaliate. And don't ignore it either. Most review sites give you the option to respond, so take your time, compose a well thought out reply, ALWAYS take a conciliary position (irrespective of the facts) and always show empathy. Don't waste your time putting your side of the story; it'll just come across as argumentative. If the reviewer is unreasonable or fabricating facts, explain that is not how to see things, but you respect their point of view. So, do you still want to sell online? Don't be put off by this article. That's not the point. 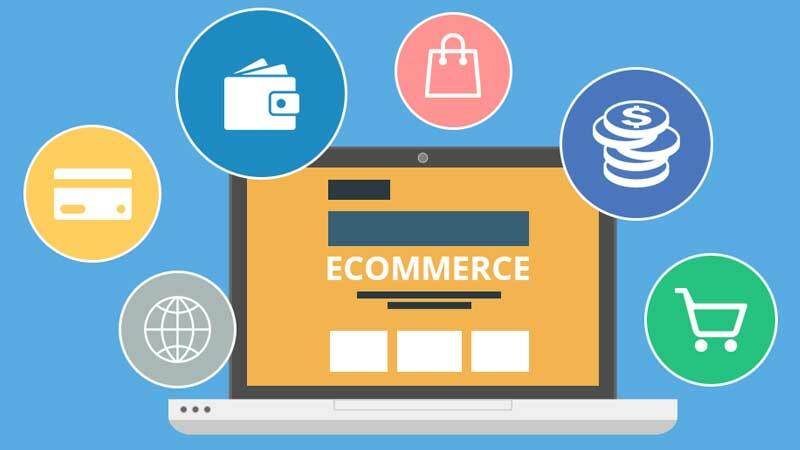 As agency co-founded by someone who has been there and done that when it comes to online retail, we don't want to put you off, we even offer many ecommerce facilities within our own websites, most recently our new Simple Store ecommerce module. Selling online can be amazing and if done right, with the proper support, can be very lucrative, but it's not without it's (many) pitfalls, and nowadays there are many service providers happy to take your money and watch you burn. We're not one of them. If you want to try online retail but are not sure if it's right for you, talk to us, we'll give you some honest advice. Or, if you're already trading online but want the help of an agency with over 18 years real-world experience to help take things to the next level, get in touch. This has been really help, that you so much for taking the time to write it. I have forwarded it to my webmaster.